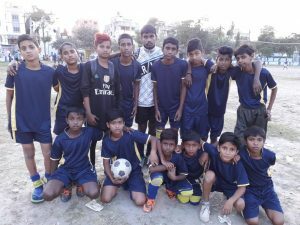 The football teams from B D Colony and G B Lane went head-to-head last week in an exciting match won by B D Colony. Participating in football gives boys from CRS Education Centres motivation and a sense of pride, as well as developing teamwork. This sporting initiative has been a really successful since being established about ten years ago.